Disney's live action revivals of their animated classics continue to be met with mixed results from many dedicated fans, as well as highly shifting financial outcomes. 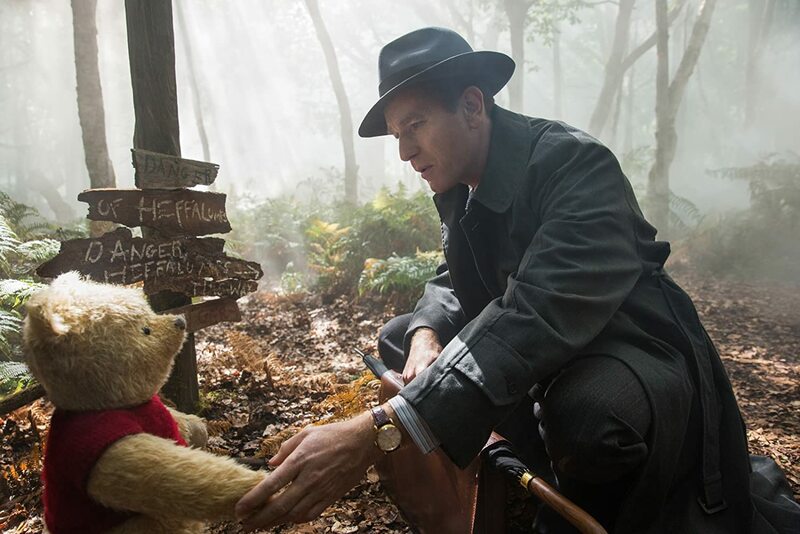 The likes of Beauty and the Beast and The Jungle Book certainly make their mark on the industry with earnings hovering around the $1 billion mark, whereas the likes of this year's Christopher Robin, featuring characters from the beloved Winnie the Pooh films, in turn adapted by A. A. Milne's classic stories, certainly doesn't impress as much. With it's global earnings not even at $100 million despite being in cinemas for quite some time in many places, it more closely sits alongside the disappointment of last year's Pete's Dragon - a more niché tale that sadly didn't have the larger target audience to win over. 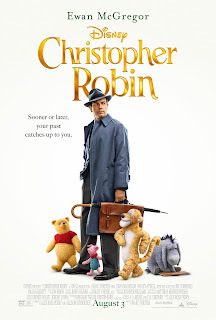 Christopher Robin isn't exactly a direct live action remake of Disney's Winnie the Pooh animated efforts, as is obvious by even a brief glance at the poster in all honesty. What we have here is a tale featuring the eponymous childhood icon having to leaving his life within the Hundred Acre Wood behind, his friends there with it, upon departing for boarding school; soon enough he reaches adulthood, in the hands of Ewan McGregor, where a difficult balance between his work and family life ultimately lead to an ongoing struggle that sits out of his hands. It's here his childhood friends Pooh, Tigger, Eeyore, the lot, all make their way back into his life, with him their to aid them and them their to aid him. Pooh and his friends find themselves largely inspired by their original animated designs, brought into the live action world with a stuffed toy aesthetic which gives them a charming appearance that largely fits the film's visual style; though admittedly Pooh isn't as easy to engage with as the others at first, strutting about like a pale zombie, destroying all in his path and blathering on about honey until it really starts to get tiresome. Disney also bring new talent into the vocal cast, including Peter Capaldi as Rabbit and Toby Jones as Owl (both of whom you barely see sadly), though Jim Cummings returns as Pooh and Tigger once again; whilst his voice has always been a great one in recent times for said roles, the chance to refresh the characters for a live action portrayal (especially one sticking to it's British routes) seems wasted in the end, and hearing the voices we all love from the jubilant animated films within the real world just feels a little unusual at times, forever talented as Cummings will be. Perhaps this criticism is more aimed at Pooh than Tigger, for the latter's charm is much stronger considering his upbeat, colourful nature, despite some similarly destructive behaviour at times - such a criticism can apply to many of these characters to be fair. In terms of the films' overall story, there is an awkward pace it must be said, as the script struggles to balance the key elements of the protagonists focus on work and family as well as the sudden return of his childhood friends. There isn't an extensive focus on the characters Robin interacts with bar Pooh, Tigger, and Eeyore in all honesty; even the bond with his sulky wife and daughter feels flat at times, and the climax itself also feels somewhat rushed, if briskly paced and admittedly fun. 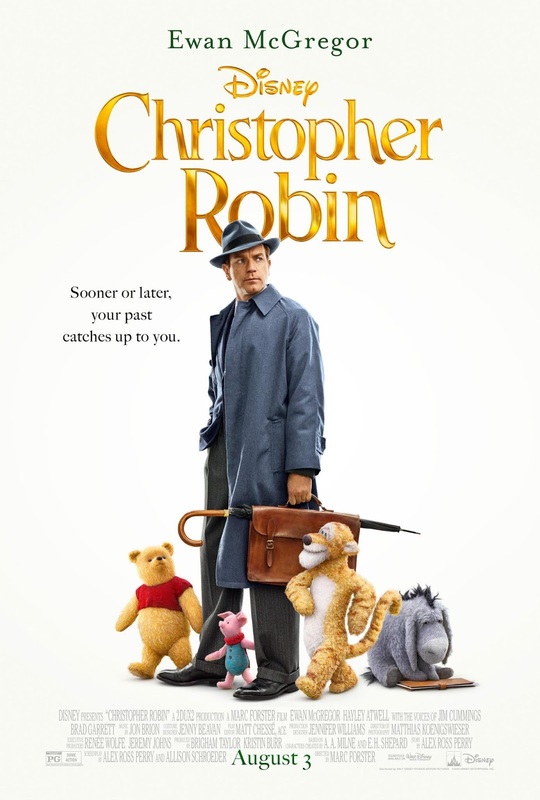 All these traits make Christopher Robin a charming if somewhat forgettable family film, one with some surprisingly strong themes, bolstered further by a solid (if occasionally tryhard) performance by Ewan McGregor and fantastic visual effects. It doesn't set any new remarkable standards for it's genre, and to be honest drags significantly as we near the finale, but still goes to show how Disney is the master of helping to flourish the charm of childhood nostalgia.